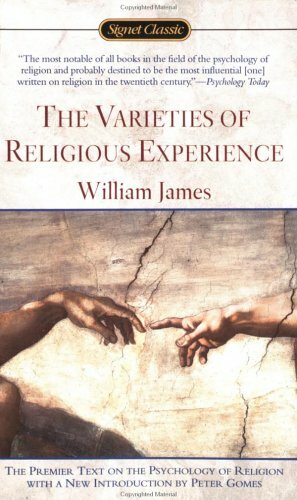 James's Gifford Lectures on the varieties of religious experience are an insightful and delightful examination of, to use a paraphrase of his own terminology, what is most important about the human experience. Every page is filled with insight into the human condition that we all can and should take seriously and apply. I cannot recommend this book enough. Sign into Goodreads to see if any of your friends have read The Varieties of Religious Experience. 5.21% "There's nothing quite like a book that makes you say "wow" at least once a page." 5.21% "There's nothing quite like a book that makes you say "wow" at least once per page." 72.71% ""Oh! if human beings might only agree together to regard [money] as so much useless mud, what harmony would then reign in the world! With what friendship we would all treat each other if our interest in honor and in money could but disappear from the earth! For my own part, I feel as if it would be a remedy for all our ills." - St. Teresa of Avila"
78.13% ""An intellect perplexed and baffled, yet a trustful sense of presence -- such is the situation of the man who is sincere with himself and with the facts, but who remains religious still." - William James"